Tl-weighted in- and out-of-phase images are obtained using a two-dimensional fast gradient echo sequence without fat saturation. On this sequence, voxels (volume elements) containing both fat and water will have a degree of signal cancellation leading to signal-intensity loss or signal dropout on the out-of-phase images when compared to the inphase images. Thus, tissue such as lipid-rich adrenal adenomas and liver with fatty infiltration with intracellular or microscopic fat are identified by signal dropout on the out-of-phase images (Fig. 5). A Tl-weighted sequence with frequency-specific fat saturation is also employed to identify regions of bulk or macroscopic fat, such as that seen in an angiomyolipoma. This is one of the same sequences used after contrast administration. Two goals are achieved by acquiring precontrast and postcontrast data using the same sequence: the precontrast images identify bulk and macroscopic fat, and postprocessing can be performed using the precontrast sequence as a mask for image subtraction. FIGURE 5 ■ Axial in-phase (A) and out-of-phase (B) precontrast T1-weighted images of an incidental adrenal mass (arrow) in a patient with a renal tumor. There is signal dropout on the out-of-phase image, indicating fat in an adrenal adenoma. Because intravenous contrast volume is small in magnetic resonance imaging, there is typically only a 10-second window of ideal arterial opacification. Therefore, obtaining the proper timing for scans obtained during the arterial phase of imaging is critical. In patients whose lesions approach the renal sinus, it is desirable to distend the calyces in order to better assess calyceal involvement. Administration of a small dose (10 mg) of intravenous furosemide during the timing examination will promote diuresis, distending the collecting system to achieve a better quality magnetic resonance urogram. Next, T2-weighted images are obtained to detect and evaluate areas of fluid including cystic lesions and the collecting system. These are generally obtained using fast techniques, either fast or turbo spin echo, or single shot fast spine echo or halfFourier acquisition single-shot turbo spin-echo. A timing examination has been proven useful to consistently obtain images during the arterial phase of contrast enhancement. Postcontrast imaging is obtained in multiple phases using a gradient echo T1-weighted, three-dimensional interpolated, fat-saturated sequence. This allows a slice resolution of 1.5 mm for images in the coronal plane and 2 mm for images in the axial plane. In-plane resolution for the sequences is at or below the slice thickness. This yields near isotropic voxels and allows data manipulation in multiple planes. 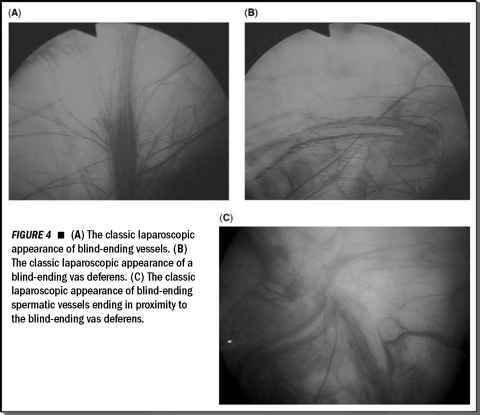 Both arterial and venous phase imaging in the coronal plane is obtained using an angiographic sequence. This sequence tends to suppress background tissue signal, thereby highlighting vascular structures (24). Following this, anatomic imaging in the axial plane is obtained during the cortical phase of renal enhancement using a more tissue-sensitive sequence (25). Accurate assessment of the vasculature and characterization of renal lesions is possible by combining these different techniques. To obtain an magnetic resonance urogram, coronal images are obtained at about 5 to 10 minutes after contrast administration. In patients who are not on chronic furosemide therapy, a dose of 10 mg given intravenously is almost always adequate. For patients who are on chronic therapy, dosage adjustments must be made. Tumor size, renal vein, and inferior vena cava tumor thrombus, and lymphadenopathy are all criteria used for staging. If the patient is a nephron-sparing surgery candidate, images are transferred to a dedicated three-dimensional imaging workstation for postprocessing, typically using real-time volume-rendering techniques.